Join us as we host Santa Barbara Boho's Pop-Up Shop, right here in our store! The inspiring owner, Tera, creates everything by hand using African Mudcloth fabrics. We couldn't be more excited to help her showcase these one of a kind pieces. Shop her cute and stylish ponchos, clutches, bags, pants and skirts! Mark your calendars for December 12th from 1-5pm. We can't wait to see you there! 1. 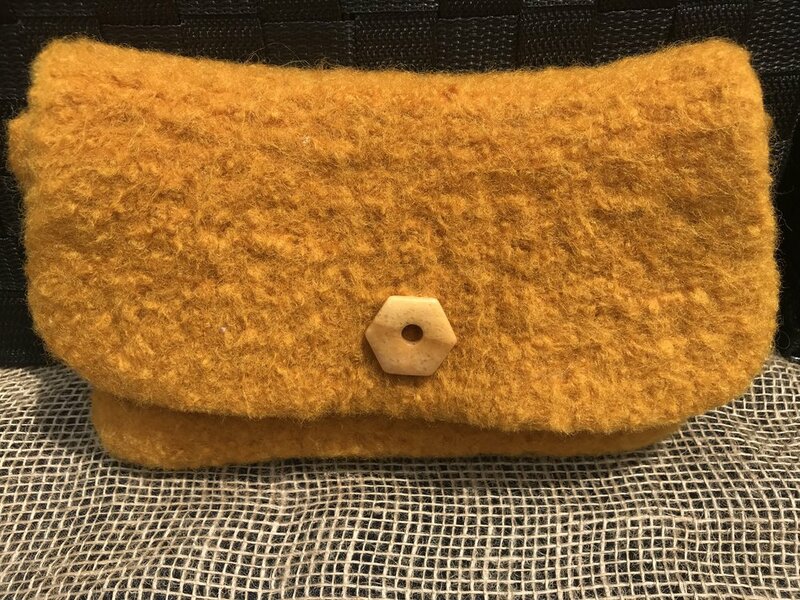 How are your ponchos/bags made? My handbags are all crocheted. The majority of my bags are crocheted out of 100% wool then felted. 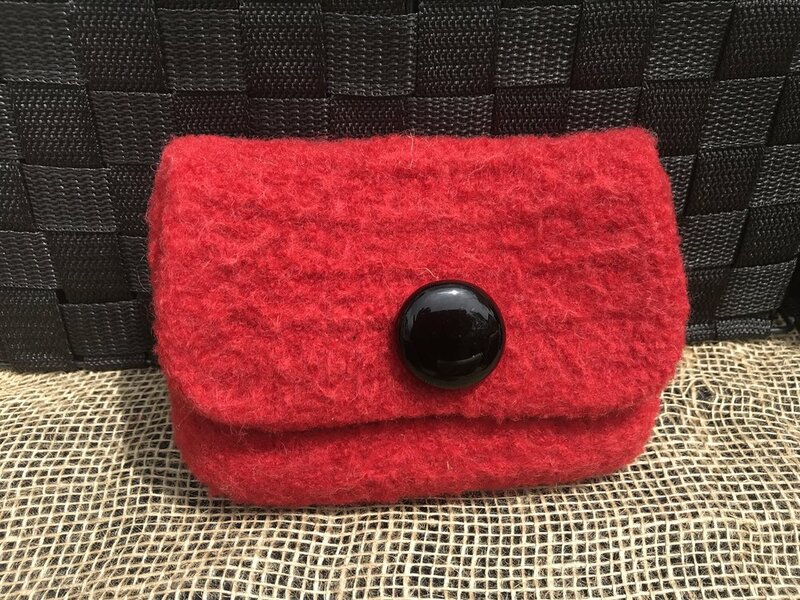 The felting process takes longer than crocheting the bag. I put several bags in the washing machine at the same time so that the wool fibers agitate together to bond. I use very hot water and turn off the machine to add boiling water a couple of times during the cycle while I physically work and mold the bag. Rinsing in cold water shocks the fibers and makes the bag nice and dense. The bags take about 2 days to air dry naturally. Then the fun begins when I shave the fibers, attach the finishing touches like adding cool beads and vintage jewelry pieces. All of my bags come as clutches but you can add one of my many colored hand-braided leather detachable straps as a nice option. My ponchos are made out of fabulous fabrics I choose carefully. I buy gorgeous African mudcloth fabrics from an African dealer who travels to Mali in South Africa. The unique patterns are indicative of specific tribes are all vintage and one of a kind. I love my ponchos so much and enjoy watching people find their perfect match! 2. How long have you been making these beautiful products? I began making crocheted soutache handbags in the mid 90’s. I first made a bag for my sister, then my mother wanted one so I bought more soutache, (rayan cording) and had enough for one for myself. Then a friend wanted one and while spending hundreds of hours watching my children at their sporting events I was selling to every soccer and volleyball mom. Nordstrom picked me up and soon I was in 6 Orange County stores and doing trunk shows sitting next to Santa. I sold over 4,000 handbags I personally made during my 8 year run. My hands literally wore out and I retired. Fast forward 15 years, I separated from my husband and didn’t know what to do with myself when everyone suggested the same thing, start a new handbag line! I moved to Santa Barbara to work with my sister Tamara, who owns a thriving staging business, Santa Barbara Staging Solutions. I love working and creating with her but I also needed to meet “my own people” and display my wares so I also began selling my handbags at the Santa Barbara art walk. 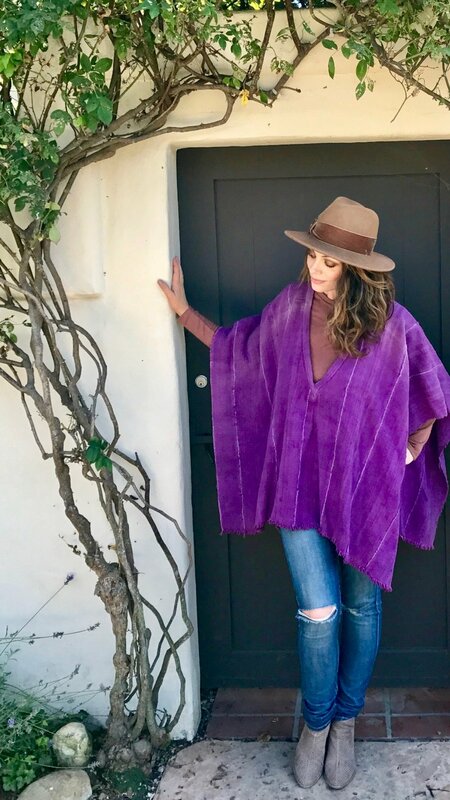 Since I work with beautiful textiles while home staging I fell in love with African mudcloth and experimented until I created the perfect poncho and have found success with both my ponchos and handbags. Now I have added gorgeous India kantha fabrics and have made reversible and colorful one of a kind ponchos with this incredible hand stitched fabric. 3. When do you feel the most creative? I find most of my inspirations while decorating homes and working with textiles. I crochet during my art shows and can work on handbags while talking to interesting people from all over the world. People get a kick out of my speedy hands while not missing a beat talking with them. 4. You are such a stylish lady - who are some of your favorite stylish celebrities? I love fashion and enjoy so many different styles. I just love women (and men) who do what they like and are comfortable wearing whatever makes them own what they wear. We are a global society and it’s so cool to add different twists and rock whatever your mood is. As far as stylish celebrities, does my biggest crush Blake Shelton in his blue jeans and denim jacket count? Oh baby if only he wore one of my ponchos!!!! Come meet Tera and shop her beautiful, handmade pieces this Wednesday, December 12th from 1-5pm! Add your email below and you’ll be the first to know about secret sales and more, oooooh la la! We will not share your email address. That’s just not our style.